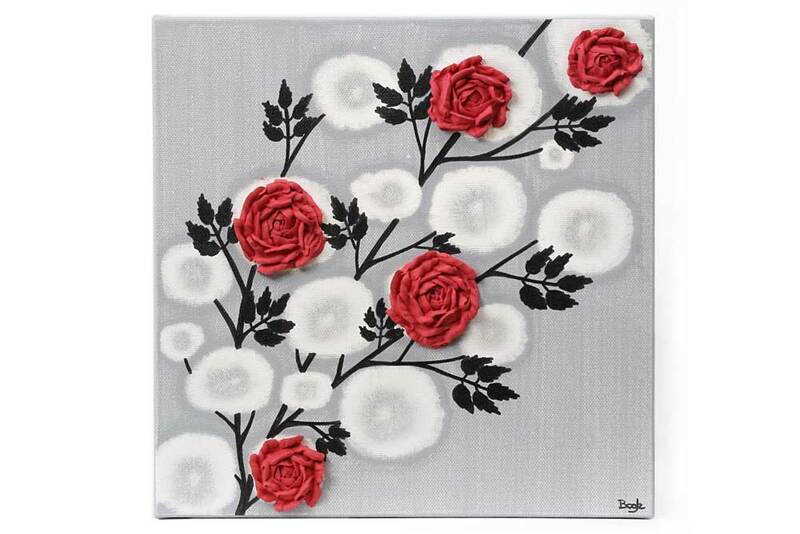 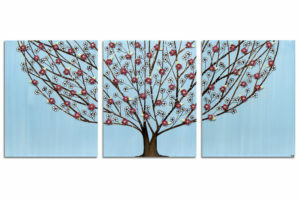 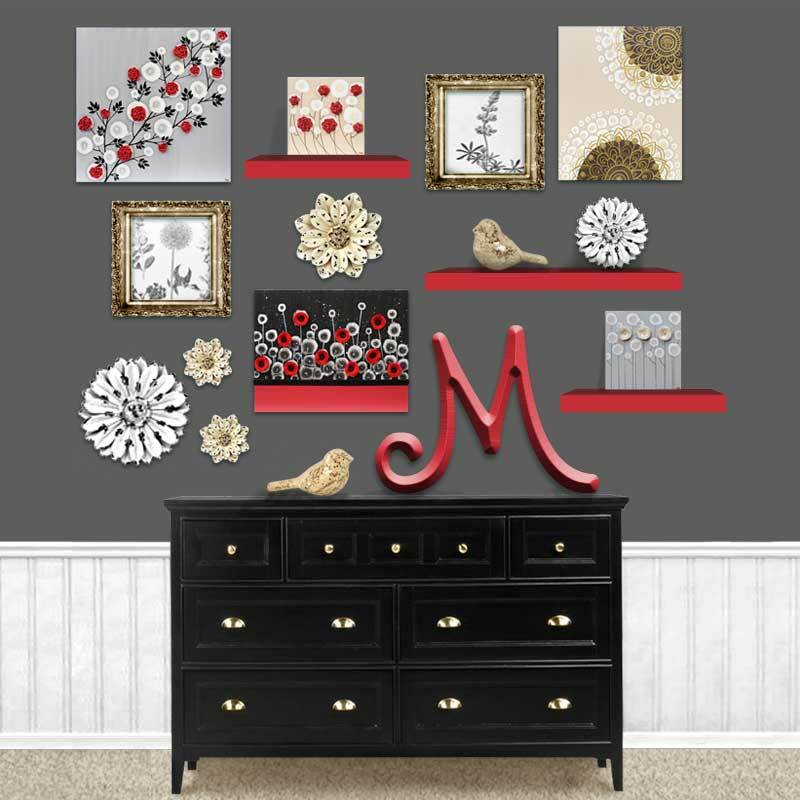 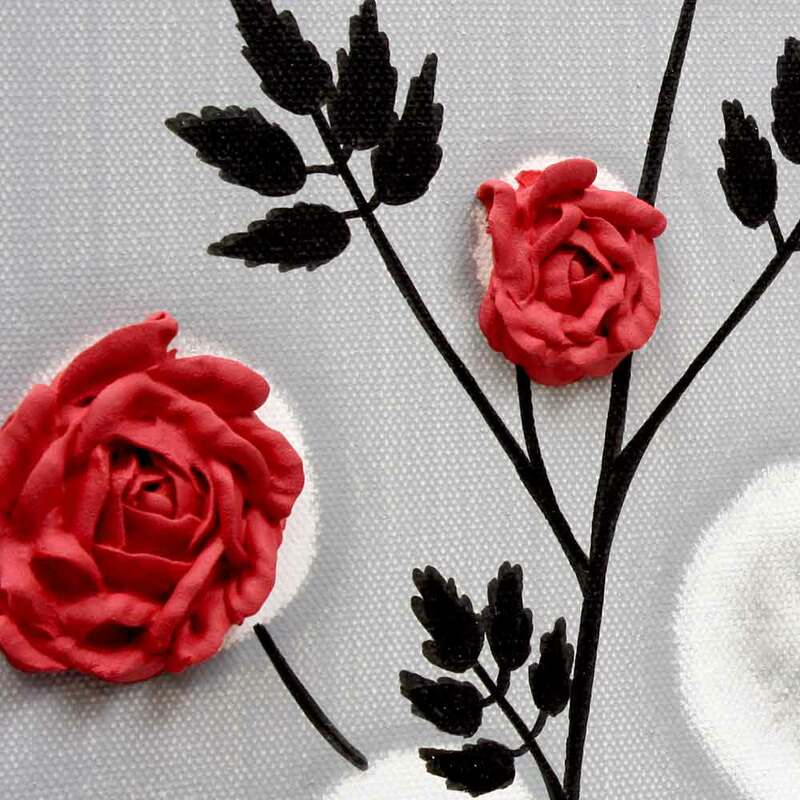 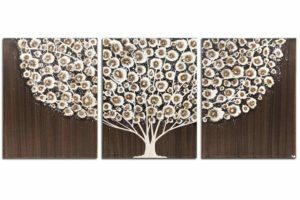 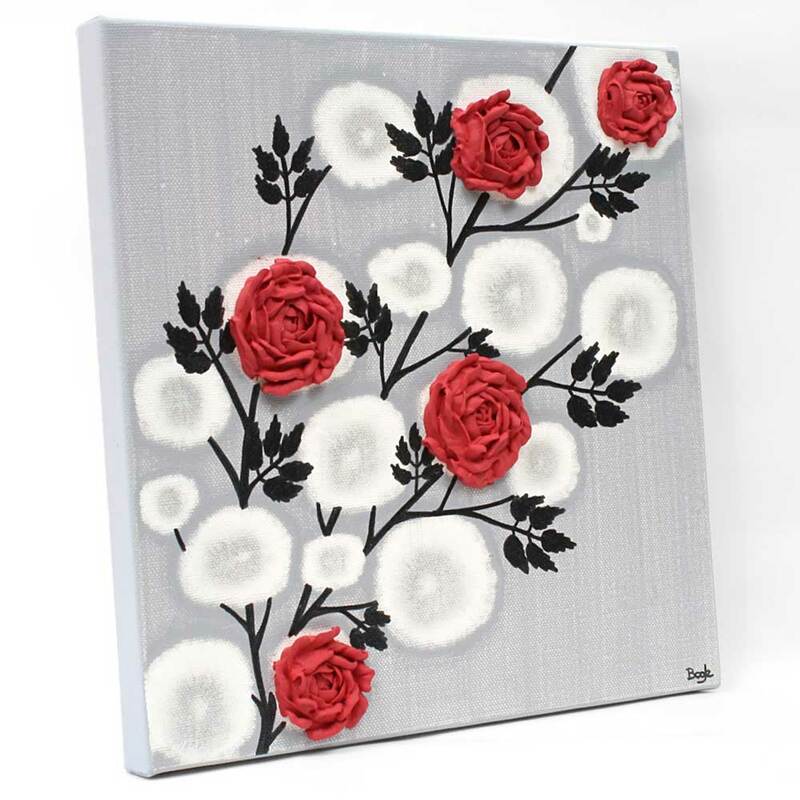 This small wall art features a string of hand-sculpted red roses. 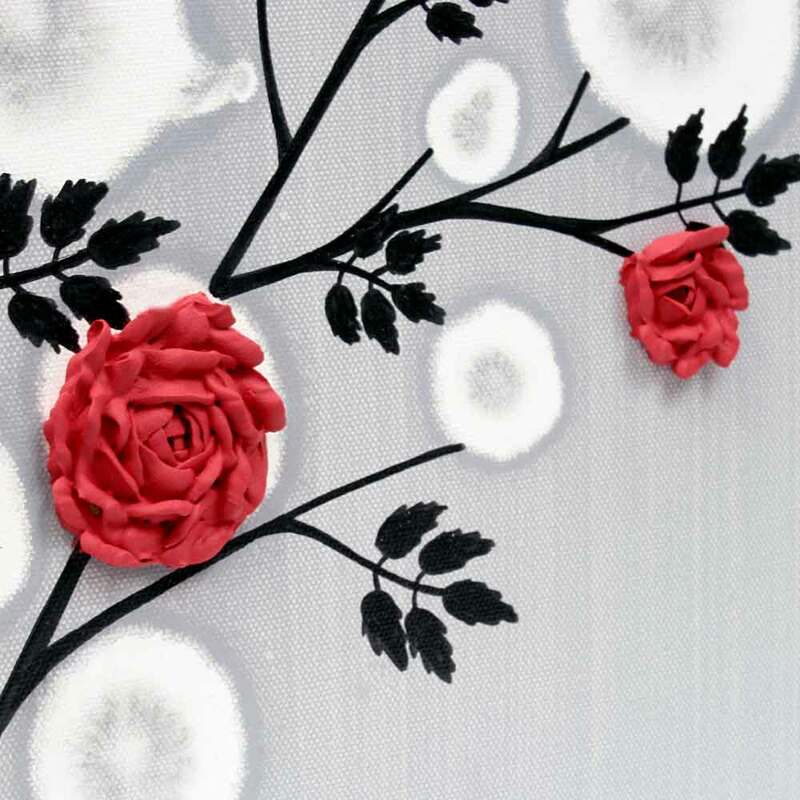 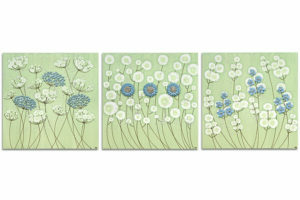 The stems and leaves are hand-inked in black India ink on the gray painting. 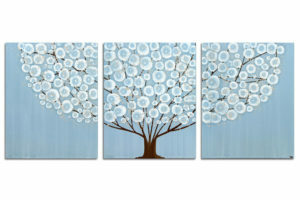 Makes a stylish housewarming gift. 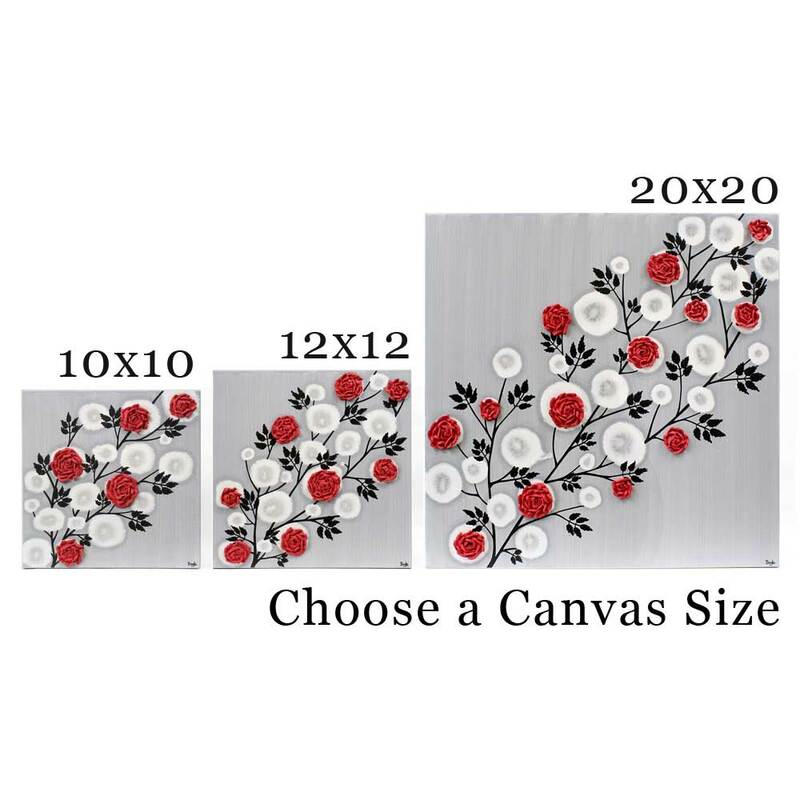 Add a personal message in the “Order Notes” at checkout to include a free gift note.